Running the Numbers for Tesla’s Solar Roof: How Much Will It Cost You? Barry Cinnamon digs into the economics of Tesla’s newest tech. And despite the lack of information, he’s pretty optimistic about the prospects for the solar roof. 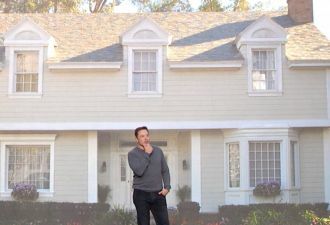 I’ve been getting a lot of questions about Tesla’s recently announced solar shingles. Based on the information I’ve seen, Tesla certainly has a great-looking and potentially groundbreaking building-integrated photovoltaic (BIPV) product. But there's a dearth of information about cost and performance so far, as GTM has pointed out in its analyses here and here. So I’ve made some educated guesses in an effort to provide a better understanding of the prospective economics of a Tesla solar roof. Since I’ve been installing residential solar, I’ve seen a number of solar shingle products introduced to the market: Atlantis, AstroPower, UniSolar, BP Solar, PowerLight, Dow, Suntegra and CertainTeed. As of today, only CertainTeed, Suntegra and Atlantis roof shingles are still available. Because of historically high component and installation costs, solar shingles have been a challenging marketing segment for solar. 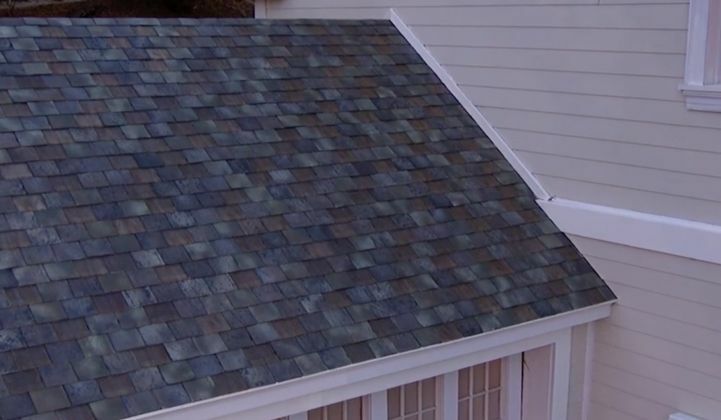 Based on previously successful products, we can make some assumptions about Tesla’s solar roof shingle. Each shingle has a 6-inch solar cell; assuming a very high efficiency cell, one can generate about 6 watts maximum per shingle (solar shingles run hot, since unlike conventional solar panels, there is minimal ventilation behind the cell). One thousand shingles would be a 6-kilowatt system, which is about the average size. But each shingle requires a + and a – wire connector, implying 2,000 connectors for 1,000 shingles. That's too many points of failure, and too many small shingles to install manually. So Tesla will probably take the same approach as other companies and make a shingle assembly that has about 24 individual cells (a total of 132 watts per assembly), all of which would look like individual shingles. This shingle assembly would then have a pair of +/- wire connections and a junction box with an integrated optimizer (needed for rapid shutdown requirements). There will be a total of about 45 solar shingle assemblies. Since the whole roof cannot be covered with solar shingles (shaded areas, 3’ fire setback along the ridge and sides, north slopes), Tesla will need to have “dummy” shingles that do not have solar cells but will match up with the larger shingle assemblies. About 2,000 dummy shingles will be needed to fill in the gaps around the 1,000 solar shingles. I expect the Tesla solar roof to perform about the same as an ordinary 6-kilowatt system. This ordinary system would cost about $15,000 (average $3.50 per watt, lower than SolarCity’s current cash price and including the 30 percent ITC), generate about 9,000 kilowatt-hours per year, and save about $2,250 per year (average electric rate $0.25 per kilowatt-hour). We need to take out the Ouija board to estimate the cost of a Tesla system. Remember, the cost of Tesla solar shingles will be high, and the installation will be complex (many dummy shingles, small shingle assemblies, tricky and specialized wiring, expensive wire penetrations in attic to conceal cables, etc). Tesla said the cost of its new system amounts to the cost of an ordinary roof plus the cost of electricity. If one were to re-roof a typical 2,000-square-foot roof, the cost would be about $12,000 to $15,000 (including quality shingles, underlayment, other materials, removal and sheathing repair). I consider two ways to estimate the “cost of electricity.” One way would be to simply assume 10 years of annual costs amounting to $2,250 a year, or a total of $22,500. Another way of estimating the cost of electricity would be the cost of an ordinary solar system, or $21,000 as shown in the example above. So the cost of a Tesla retrofit system would be in the range of $33,000 to $37,500. For a new production home in which solar and roofing costs are lower, I estimate the roofing costs of $10,000 and solar costs of $16,500 (because of local economies of scale, installing solar on new production homes is relatively inexpensive). For a new custom home, I estimate the roofing costs of $12,000 and solar costs of $24,000 (because of extended timeframes for new custom-home construction and changes that occur along the way, these are the most expensive residential installations). These slightly longer paybacks for the Tesla solar roof will make the concept less appealing for the average homeowner, but can be compelling for new construction and homeowners willing to pay extra for superior aesthetics. Innovations in the business model related to solar roof installations, for which both Tesla and SolarCity are well known, can further reduce costs. So on the whole, I’m optimistic that new solar technologies like Tesla’s solar roof will contribute to continued rapid growth in the residential solar industry. Barry Cinnamon is the CEO of Spice Solar.